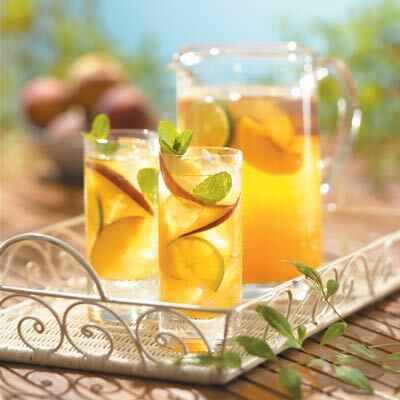 Stir together the wine, peach puree and brandy in a large pitcher. Add sugar and stir until dissolved. Add fruit slices, pressing against the side of the pitcher with a large spoon to release some of the juices. Serve immediately or refrigerate for up to 2 hours. Serve in tall glasses over ice, garnished with mint sprigs.